For 25 years, Ballet Jörgen Canada has gained national and international recognition for its repertoire of original works and astounding choreography. 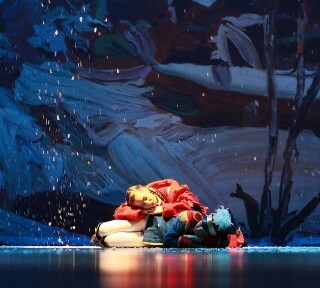 Once again, the company is stopping in Ottawa to perform the classic tale The Nutcracker – with a Canadian twist. 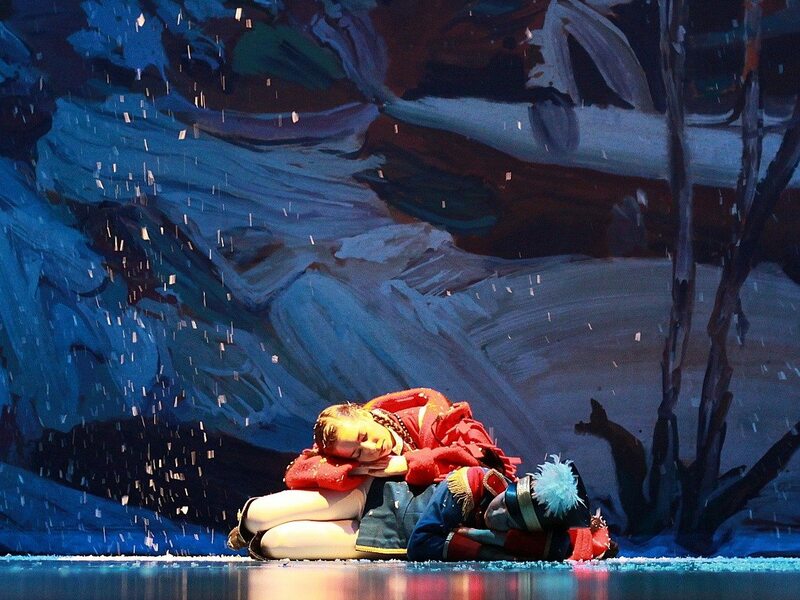 Set to Tchaikovsky’s epic score and including sets inspired by Group of Seven paintings, along with other Canadiana touches, this show creates a truly magical atmosphere. Saturday, December 15, Monday, December 17, and Tuesday, December 18. $40-$50. Shows play at Centrepointe Theatre and Shenkman Theatre, depending on the day. www.centrepointetheatre.com. The Museum of Civilization is ushering in the Christmas season with a series of exciting events for the whole family. If you’re one of those people who haven’t gotten all your Christmas shopping out of the way, then the Christmas Market is calling your name. Over 40 local vendors will be showcasing artisan foods, handcrafted jewellery, handbags, and more. Fun holiday activities to entertain your little ones while you attend to last minute shopping include the Christmas Tree decorating challenge, toy-building sessions with elves at Santa’s workshop, and — of course — a seat with Santa Claus himself! See website for details and dates for each event. Standard museum admission applies, some activities extra. 100 Rue Laurier, Gatineau, www.civilization.ca/event/the-museums-christmas-market. Two of Ottawa’s premier a capella groups will be performing some of the best their repertoires have to offer. Harmonic Generation and Quintessence Jazz Ensemble will be sharing the stage as they sing arrangements of contemporary pop favourites, classics, and, of course, holiday pieces! Crowd pleasers are to be expected, with an eclectic mix of songs for everyone. Part of the proceeds will go to An Early Start, an organization that helps provide health care and education to children in Guatemala. Saturday, December 15, 7:30 p.m. $15, students and seniors $10. First Baptist Church, 140 Laurier Ave. See Facebook event here. One of the Ottawa’s most renowned chamber choirs has prepared a wide selection of seasonal favourites just in time for Christmas. Just in case you haven’t gotten into the Christmas spirit yet, guest artist Jonathan Estabrooks (who won the Oratorio Society of New York Vocal Competition – so kind of a big deal) is returning to his hometown to join jazz specialists The Pollcats for a performance of Bing Crosby’s famous holiday repertoire. The program also includes original pieces; traditional French, Austrian, and Ukrainian carols; and special arrangements of Christmas songs the whole crowd will know and love. Saturday, December 15, 8 p.m. $30 at door, $25 in advance, students/seniors $20. First Unitarian Church, 30 Cleary Ave., www.ewashkosingers.com. The first annual Holiday Fundraising Party will take place at the Hintonburg Public House with local sensation DJ Acro there to spin beats all night long. The fundraiser will be in support of the Ottawa Food Bank and the Snowsuit Fund, two organizations that go a long way to helping the less fortunate during the holiday season. Bring non-perishable food items or lightly used outerwear, or better yet, bring both and a free pint of microbrew will be provided. Sunday, December 16, 10 p.m. $10 donation at door. Hintonburg Public House, 1020 Wellington St. W. See Facebook event here.